Dubbed the heart of Africa, there is a profusion of wildlife within the borders of Tanzania. With 16 Tanzania safari parks, covering an area of about 42,00km2 numerous wildlife is conserved in the area. Wild animals that can be seen on a Tanzania tour are inclusive of herds of zebras, lions (the densest population in Africa), impala, buffalo herds, giraffes, elands, kudu, sable and hippos in water ponds, Antelopes, Kongoni, cheetahs, grant’s gazelle, elephants, the dramatic wildebeest and many more are spotted. Known as one of the seven wonders in the world, the wildebeest annual migration is the best glimpse to behold on safari. The wildebeests, also called gnus, are a kind of antelopes, and belong to the family Bovidae, which includes antelopes, cattle, goats, sheep and other even-toed horned ungulates. They migrate annually across Serengeti National Park in Tanzania and Masaai Mara Game Reserve in Kenya with the most dramatic moments when they cross the Mara river. Voted as one of the world’s seven Natural Wonders of Africa in 2013, the masterpiece of the Ngorongoro Conservation Area is the Ngorongoro crater. The Ngorongoro crater is the world’s largest inactive, intact and unfilled volcanic caldera. Though inactive now, Ngorongoro volcano was active from about 2.45 to 2 million years ago still vibrant for Tanzania safaris till now. The crater in Ngorongoro was formed when a large volcano exploded and collapsed on itself two to three million years ago. The crater is 610 meters (2,000 feet) deep with its floor covering 260 square kilometers (100 square miles) rising 1,800m above sea level. Before the collapse, the original height of the crater is estimated to have been ranging from 4,500 to 5,800 meters (14,800 to 19,000 feet) high. Ngorongoro crater offers a classic Big 5 Tanzania wildlife safari experience. There are thousands of wildlife animals that can be seen on the crater floor for example; lions, elephants, rhinos, Thomson’s gazelles, and buffaloes. The biggest number of animals in this conservation area are the wildebeests and zebras that count to over half of the animals that call the Ngorongoro Crater home. The Masaai /Masai around Serengeti National Park are a proud nomadic warrior race who count their wealth in cattle and children. The Masaai culture is rich and unique, they extend a welcome to visitors from the camps in the Park in return for support of their village, schools and health centers. The Masaai are friendly and generous hosts who will share with you their native dance, melodies, dramas and experiences. The male Masaai warriors wrap themselves in red cloth cloaks and spears as the children wear the rich bead collars. Want to learn about the history of early man, Olduvai Gorge also known as Oldupai Gorge is the best place. 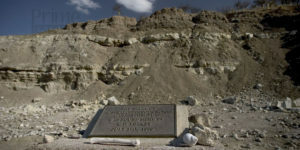 This site is famous as the spot where Leakey’s discovered human fossils and tools dating back to over 2 million years ago. Over 60 hominids fossil remains have been discovered in this area and most of the archaeological findings are found in the small oldupai museum. The gorge is a steep-sided ravine 30 miles long that helps shed light or give a better perspective of the intelligence of the first humans. Mount Kilimanjaro takes pride in being the highest point in Africa 5,895m (19,341ft) situated in the Kilimanjaro region north east of the country near Moshi town. The mountain is in a protected area within Kilimanjaro National park 300km (190m) south of the equator. Mount Kilimanjaro is a stratovolcano on the parent range of the Eastern rift mountains about three million years old with its last eruption between 150,000-200,000 years ago. Kilimanjaro mountain is the highest free-standing mountain in the world. The mountain has three (3) distinct volcanic cones which are Kibo, Mawenzi and Shira. 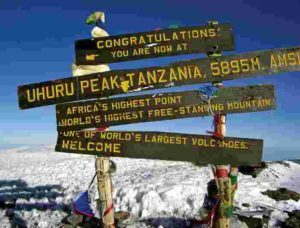 Kibo is the highest peak at 5,895m with Uhuru peak as the highest summit on Kibo’s crater rim, Mawenzi is 5,149m (16,893ft) and shira is 4,005m (13,140ft) with a broad plateau at 3,800m (12,500ft). Mawenzi and Shira peaks are extinct whereas Kibo is dormant and could probably erupt again, it’s the largest cone more than 15m (24km) wide. 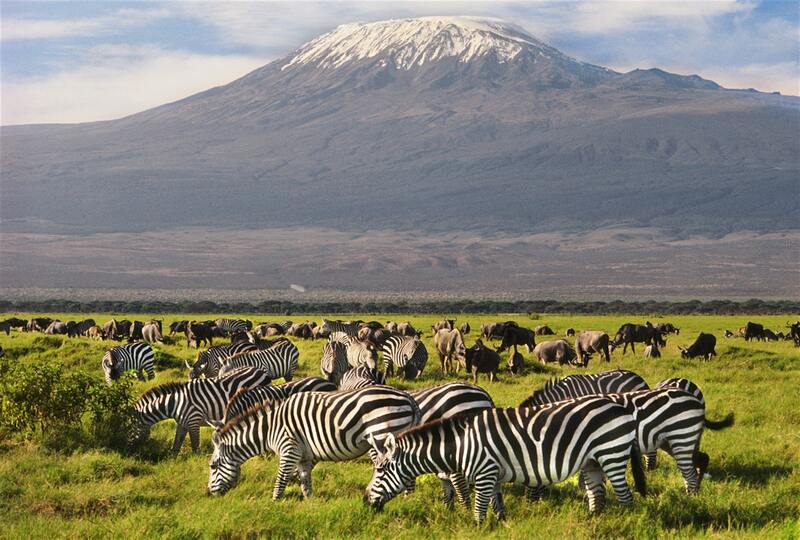 Mawenzi and kibo are separated at 4,400m (14,400ft) by a saddle plateau. Tanzania isn’t only home to wildlife but also bird life. The country has about a total of 1050 bird species of which 26 are endemic, 30 are accidental, and two have been introduced by humans. Tanzania is indeed a perfect choice for a safari in Africa and alongside all of these attractions being bordered by the Indian Ocean, there a lot of recreation activities within the shores and in Zanzibar island. Many tourists also opt to tailor their safaris with the popular Uganda gorilla trekking safari trips or gorilla safari Rwanda to have the best of Africa.